Ferguson won't change anything. What will? Glenn Loury leads the forum, with responses from Doug Henwood, Danielle Allen, and others. 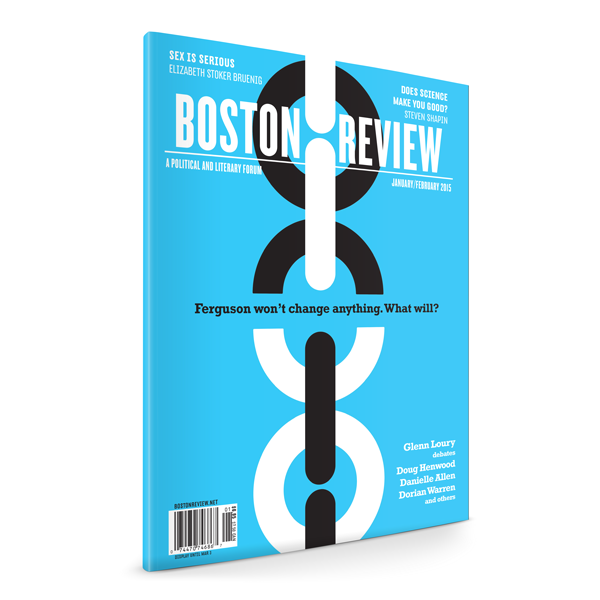 Elsewhere in the issue: Steven Shapin on whether science makes you good, Samuel Moyn on the origins of liberalism, Amy Dean profiles Richard Trumka, and Elizabeth Stoker Bruenig on affirmative consent laws.